The PSJA ISD Black team won the USA Water Polo RGV championship. PHARR — A Pharr-San Juan-Alamo ISD water polo team has been named the USA Water Polo RGV Champs after taking the win against Los Fresnos at the first ever Rio Grande Valley Championships held Saturday, May 12 at the PSJA ISD Natatorium. 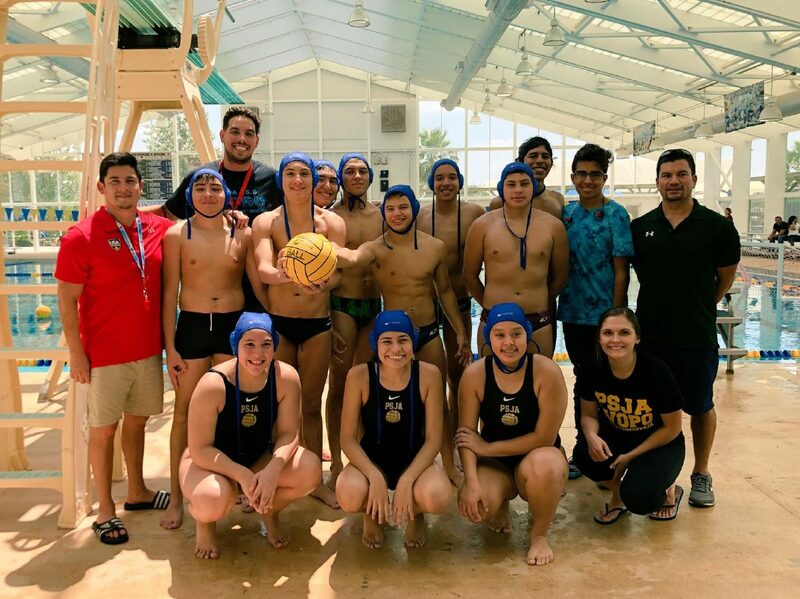 In an effort to spark interest in water polo in South Texas, this year USA Water Polo sponsored a Rio Grande Valley High School Water Polo season, allowing high school students from various school districts to compete. PSJA ISD had the following three co-ed teams compete this spring: PSJA Black, PSJA Blue and PSJA Maroon. The PSJA Black team beat Los Fresnos 12-7 in the championship. According to the PSJA ISD Aquatics Director Jonathan Landero, USA Water Polo hopes to make this an annual championship event until the sport can be sanctioned as a University Interscholastic League event.